The wait is finally over. OnePlus have released their latest flagship device, the OnePlus 5, at a press event a few hours back. The handset comes with support for 34 bands, which shows the companies aim of launching a device which can be used globally in almost every market. 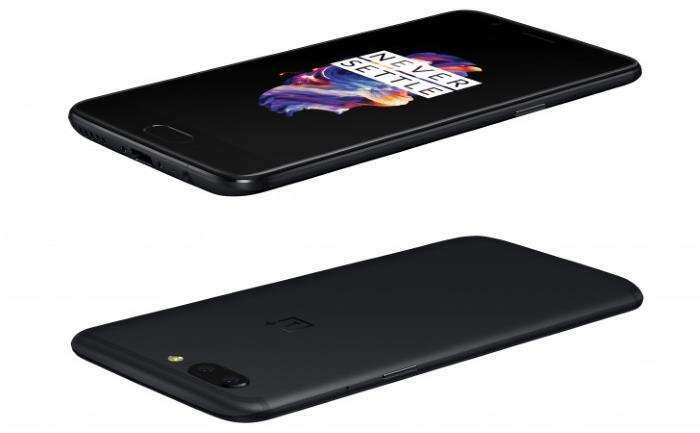 The OnePlus 5 is company’s thinnest device yet, measuring only measuring just 7.25mm, and comes with top-of-the-line specifications with a little more interest towards the photography segment. The handset come with a dual-camera setup with a 16MP sensors for low light photography with an additional 20MP sensor is behind a telephoto lens. The handset comes with a 5.5-inch display sporting a resolution of 1920 by 1080 pixels, a Snapdragon 835 processor paired with 6/8GB of RAM and 64/128GB of internal storage. There’s a 3,300 mAh battery with Dash Charge, promising a full day of battery life in just half an hour of charging. The handset is available in Midnight black and Stale Grey color options and will be available online from June 27 at the company’s website.